Whenever we talk about monetization then it's all about making money and today I will talk about 5 possible ways to monetize your blog with Affiliate marketing but before we start I will ask this question. Affiliate marketing can be defined as a marketing arrangement by which an online retailer pays commission to an external website for traffic or sales generated from its referrals. When it comes to your blog it's all about referring your readers or visitors to a particular product and services that they might be interested to buy or participate on and in return, you will be given a small percentage (Commission) of any sales completed by the person you referred. 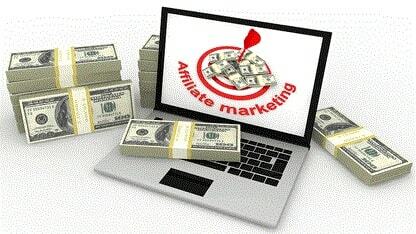 If you are thinking about making money on your Blog with Affiliate Marketing there are few principles of affiliate marking you must know that will help you succeed and if you are interested to know those principles then check out the 5 Ways to Monetize your Blog with Affiliate Marketing below to learn more. Now am sure you have fully understood what affiliate marketing is all about so it's time to know 5 simple ways you can make real money through affiliate marketing. In this regard, you must know the type of people who regularly visit your blog and what they are looking for, that way you will know the right product and services to present to them based on their own interest which will surely pay off since they are truly interested in such products and services. As an affiliate marketer, you need to get the right audience to see the right offers in the right way. google analytics is one of the best tools that will help you understand what your audience wants whenever they come to your website. To really make money through affiliate marketing you need to create and publish unique high quality and targeted content and when I said targeted content it simply means that the content you are publishing should be able to target certain product and services because you might have high-quality content that is not marketable or profitable because no advertiser is bidding on any of the keywords you used that is why you should think before creating content for your blog. Don't forget that Content is the King and if you want to get more organic traffic from search engines you need to earn some reputation with your writing skills and capabilities. As a blogger you will agree with me that some of your high performing blog posts suddenly stopped performing as they used to, what you need to do is to check such content, update and optimize it to stay current and updated because as time goes things changes and it's your duty to make the necessary changes once the need arises. The first step was to know your audience and their interest but since you are aware of the reason why people visit your website you should offer them some product and service that relate to what they need. Your job is to research and find the best product and offers that your audience really needs, I know it might be hard finding such product and offers but there are thousands and millions of product and services to promote if you look carefully. You must design and optimize your site in such a way that your audience will find it easy to navigate from one page to the other, your website must as well be optimized for mobile users since 75% of your audience will be visiting your site using mobile phones so it's important to make your website responsive and fast for your audience and also search engines.